Manage all your hotels from a single dashboard. Enable your customers to see your availability in multiple properties on a single page. Want to manage and sell your entire group from one single page? You might have more than one hotel or a group of properties. HotelRunner makes it easy for you to manage all of them from a single administration panel. HotelRunner has group hotel and multi-property features that allow you to showcase your offerings on a single page for easy comparison. 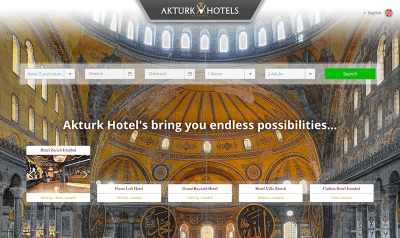 Guests can search for availability and rates for each hotel. They can also visit the individual hotel websites through a link provided on the group’s website.